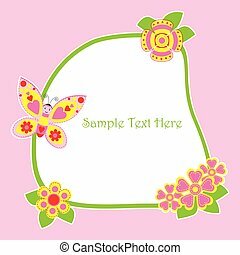 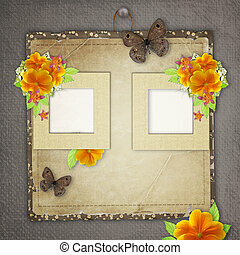 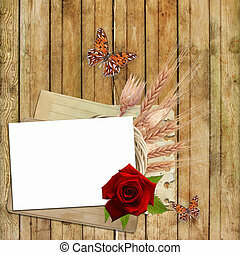 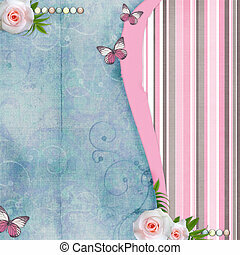 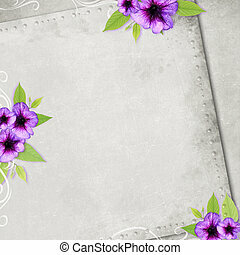 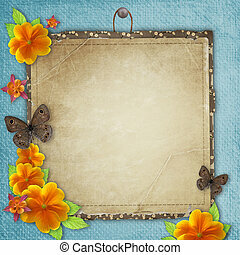 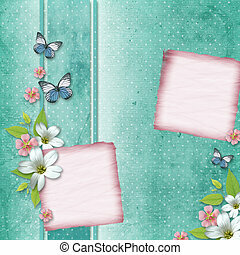 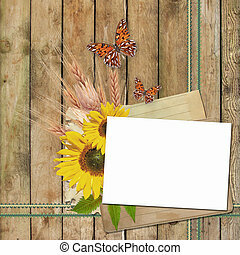 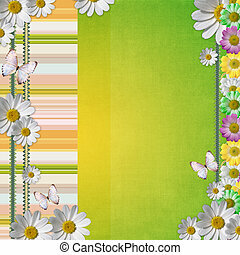 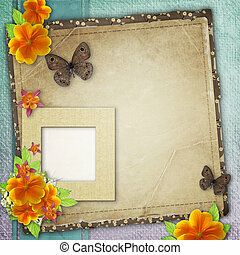 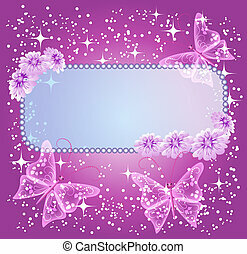 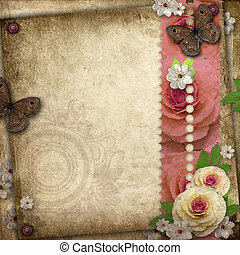 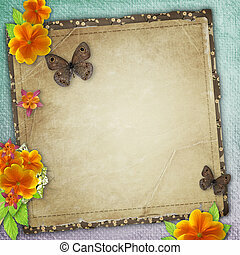 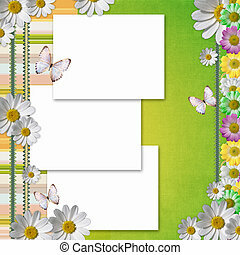 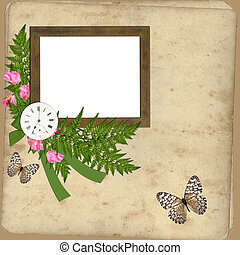 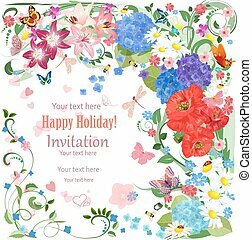 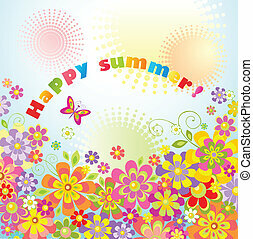 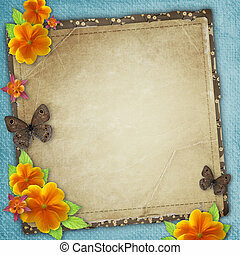 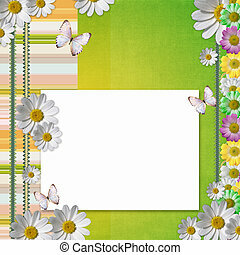 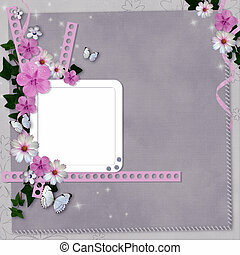 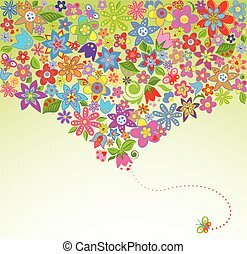 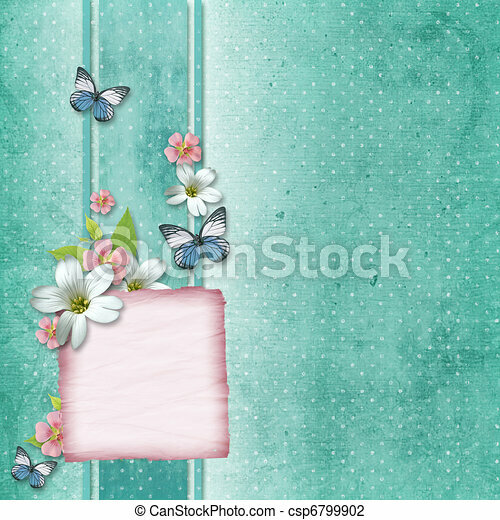 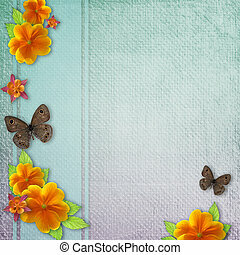 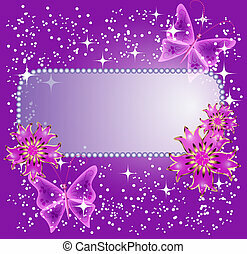 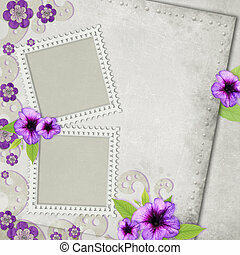 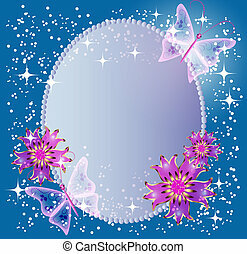 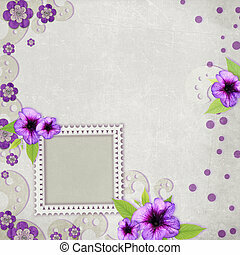 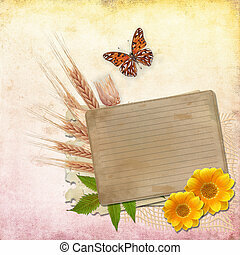 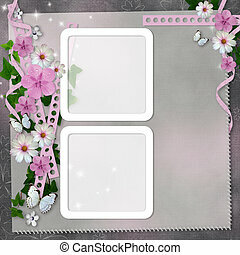 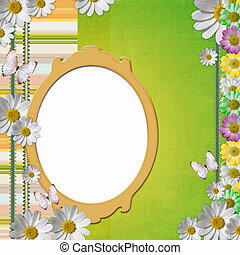 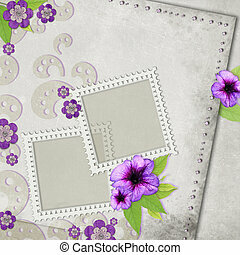 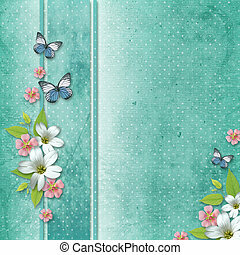 Card with flowers and butterfly for congratulation to holiday. 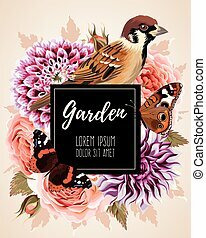 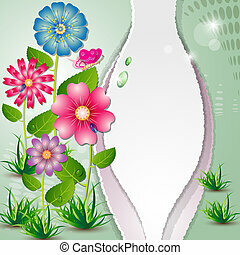 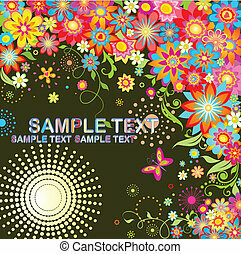 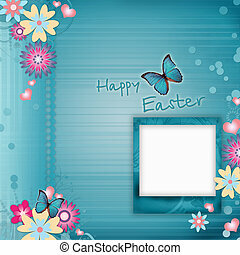 Easter card with flowers. 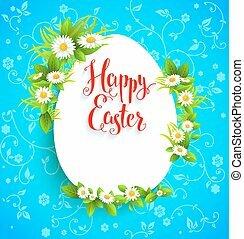 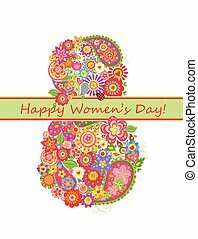 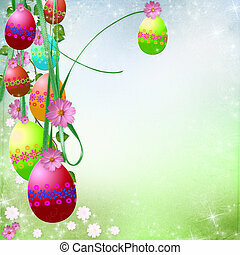 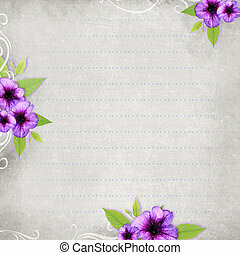 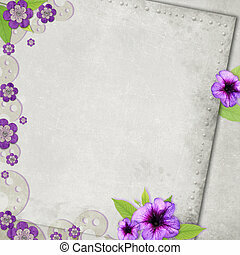 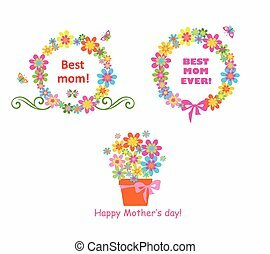 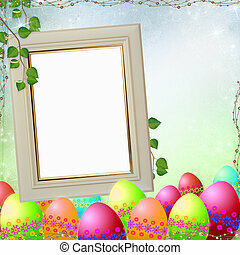 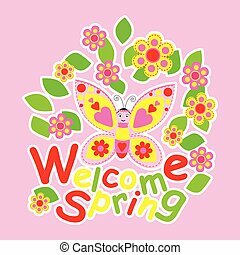 Background for design card, banner,ticket, leaflet and so on.Template page with handwritten inscription Happy Easter. 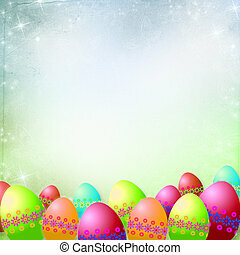 Holiday card. 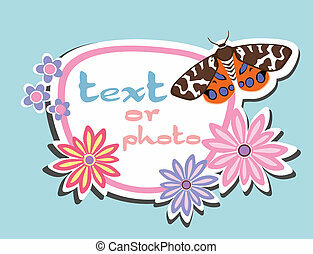 Place for text.